On Robinhood’s site, we found an alarming error regarding their options trading service. 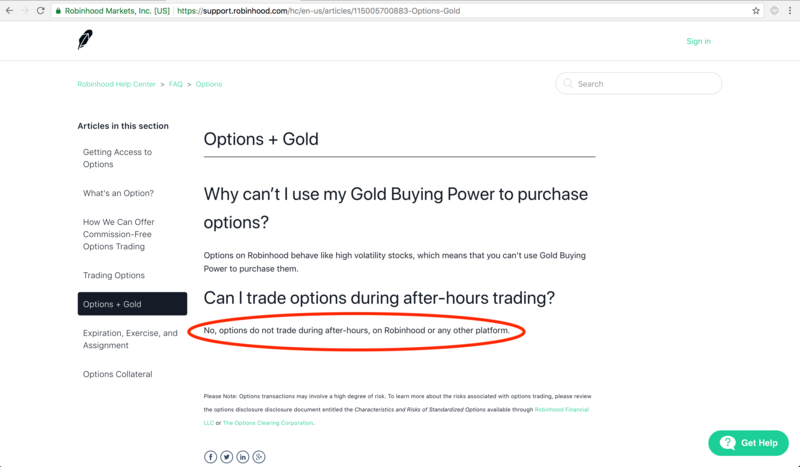 Robinhood states that “options do not trade during after-hours, on Robinhood or any other platform.” This is completely false. There are a whole list of index options, ETF options, and ETN options that trade until 4:15pm EST every trading day. Even after the market closes, traders can buy and sell these options to take advantage of economic reports and news announcements that come after the market closes. Some of the most common options that trade after-hours include SPX, SPY, OIL, QQQ, and DIA. The fact that Robinhood’s employees do not even know basic facts about options trading isn’t shocking. It speaks volumes about the quality of the “options trading” service they offer clients. When investors open up an account at Robinhood, it’s safe to say they’re doing so because of the promise of free stock and options trades. Robinhood doesn’t charge any commissions for stocks and options, whether it’s per-share or per contract. For options, there are also no exercise or assignment fees. Great, right? Well, not so fast. When we do a deeper dive into Robinhood’s pricing structure, it turns out that trading with the broker isn’t actually free, after all. Investors should take note that Robinhood does not permit margin trading for free. This means, even if you don’t plan on using additional buying power, as is standard with a margin account, your will trading will still be restricted. You won’t be able to buy a stock, sell it within a five day period, and then trade again without facing a Regulation T Margin violation. It almost goes without saying that day trading with Robinhood, for free, is impossible. Essentially, since Robinhood doesn’t offer margin trading for free, like every other broker does, new investors could find themselves “freeriding” and in direct violation of the Federal Reserve Board’s Regulation T which could result in a 90 day suspension from opening new positions. 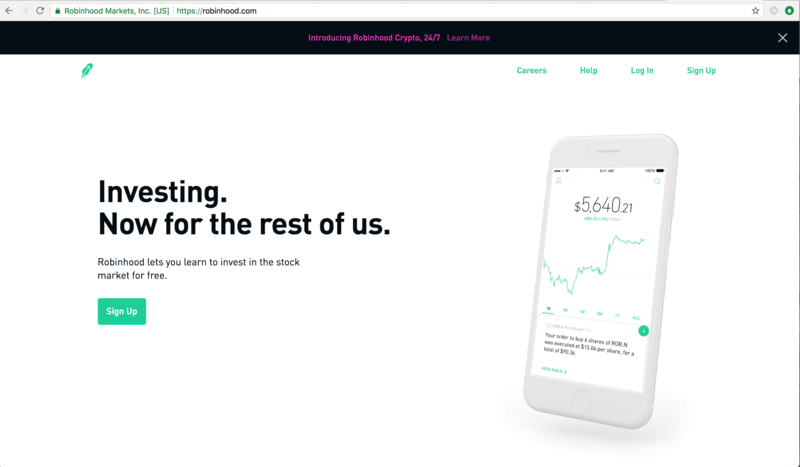 Long story short, trading on unsettled funds is very easy to do when you don’t have a margin account, and Robinhood makes this possibility a reality for lots of investors. To trade in the pre-market or after-hours, something that every other online broker offers for FREE, Robinhood requires Robinhood Gold. Robinhood Gold requires a monthly fee based on account size. When Robinhood’s monthly subscription fees are taken into account, it’s quite evident that trading with the broker is anything but free. 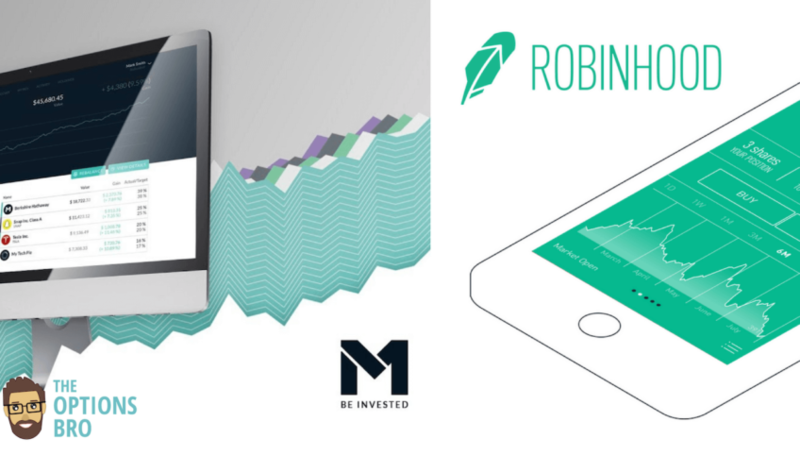 Robinhood only offers very basic forms of trading for free, and charges users high fees for features that other brokers offer for free. We really want to give Robinhood a higher rating for Commissions and Fees, but “free” trades don’t do too much if your trading abilities are limited. For those looking to day trade, trade semi-advanced options strategies, gain extra buying power, or avoid the Red T requirement, Robinhood Gold is the only option. It doesn’t come cheap, though. Monthly fees start at $10 for standard 2-to-1 leverage for a $2,000 account. If you have a $12,000 account and want full buying power, you’ll have to shell out $50 per month! That’s $600 per year! Every other online broker offers 2-to-1 margin without a monthly subscription. For reference, you can currently lease a new BMW for less than the price of a Robinhood Gold membership on a $30,000 account with full buying power. Also, you won’t collect one penny of interest on your uninvested cash in your Robinhood account. There is also a 5.0% APR on borrowing over $50,000. We recently wrote a brief tutorial on the concept of “brokerage churning” where investors can take advantage of promotional signups from different brokers and actually trade for free without trading restrictions or limitations. If you take into consideration the fact that brokers like TD Ameritrade, Ally Invest, Fidelity, etc. all offer free trades for several months, allow traders to short sell, trade penny stocks, trade advanced options strategies, and so much more, when comparing Robinhood to reputable brokers that don’t charge a monthly fee for margin trading, Robinhood begins to look like a ripoff. Since reviewing brokers for over two years, we have never had to use a one-star rating. Robinhood offers to absolute worst selection of trading tools in the industry. Whether you like to read research reports, browse technical studies, or do fundamental analysis, you won’t find any of it with Robinhood. Furthermore, options traders are strictly limited to covered calls, cash-secured puts, and long call and put options. Spreads and iron condors require additional approval. You can forget about selling naked options with Robinhood. Furthermore, it is very important to understand that trading is focused on a mobile application for iOS and Android. A web-based platform has recently been introduced, but still lacks advanced trading capabilities and features. There are no price ladders, level II order books, or advanced order types. For lots of investors, this won’t present a problem, but for serious, day-to-day traders, running an entire trading operation from a mobile phone, or browser platform based off the mobile app, is not practical. The actual Robinhood interface looks really cool, there’s no question about that. Does it offer a lot of trading capabilities? No, not at all. But, hey, the graphics are flashy and some of the letters change colors. In terms of functionality, there are countless reports of lags and glitches during peak trading hours, like market open and market close. Data seems to slow down and prices do not print in real-time when too many users are on the app. When a lot of traders use the mobile application, it evidently overwhelms Robinhood’s servers and causes a price/quote delay of several seconds. This lag is one of the most common complaints with the application. Beyond that, we really dislike Robinhood’s “waitlist” mentality when it comes to new features. If you wanted to download Robinhood and trade options tomorrow, you would be out of luck unless someone invited you to the “waitlist” that never seems to end. The lack of immediacy with new features is downright frustrating. Customer service with Robinhood seems to be hit or miss. During out test, sometimes, our ticket requests and emails were answered quickly, and sometimes it took a full week for Robinhood to reply. Sifting through message boards and comments from other reviews, poor customer service seems to be a known issue. As for phone customer service, shortly after the market opens and closes, hold times can either be a few minutes or a few hours. For the most part, unfortunately, it’s the latter. This sort of customer service unpredictability is frustrating, not reliable, and certainly not suitable for investors with a lot of money on the line. Without question, this is where we think Robinhood really falls short. They offer virtually no access to research, analysts reports, technical studies, or any other information that traders could utilize to make their investment decisions. We really have nothing to review here, because Robinhood offers nothing. On the Robinhood website, one of the FAQs asks how Robinhood can afford to offer free stock and options trading to their clients. Just like their “free” commissions, at first glance, this statement seems to suffice. But if we take just one moment to analyze what Robinhood just said, it’s nonsense at best and misleading at worst. Let’s get this right… because Robinhood invests in “state-of-the-art technology” (keep in mind Robinhhod is currently only available on smartphones), they don’t have to charge trading commissions? What? Are you kidding me? Our BS detector is going off the charts right now. TD Ameritrade invests in technology. The Chicago Mercantile Exchange invests in technology. Citadel invests in technology. Everyone invests in technology! It’s not a sufficient explanation as to why a service that should cost money is given away for free! Just like every other broker, Robinhood has to charge commissions to survive; hence that’s why they have Robinhood Gold, which is a colossal ripoff. But what other ways are they making money behind the scenes? 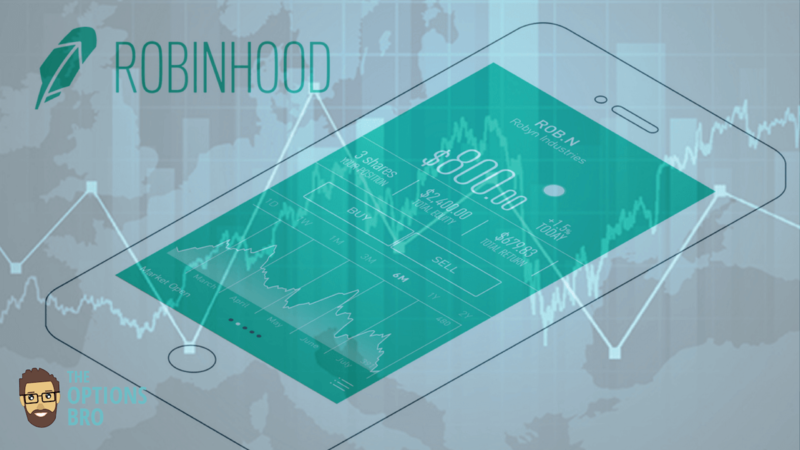 Beyond charging investors monthly fees for what should be a free service, Robinhood sells client orderflow to third-parties and market makers like Citadel, Virtu Financial, and Apex Clearing Corporation. Keep in mind, the hedge funds and institutions that Robinhood sells client orders to are companies like Virtu Financial, which in 1,238 days of trading only had ONE day where they lost money. No, that was not a typo. These companies never lose. Virtu and Citadel have been at the center of heated controversy regarding HFT firms that are accused of front-running orders and ripping off retail investors for fractions of pennies millions and millions of times everyday. So, when you place an order to buy or sell shares of stock on Robinhood, Robinhood uses their “state-of-the-art technology” to instantaneously shop this order to different institutions to see who will pay the highest per share price. Now that options are available, selling order flow might actually have a much more significant impact on clients, because options markets are much wider and less liquid than stock markets. Therefore, there is a lot more room for manipulation and abuse when Robinhood sells a client’s order to close out a long options position, for example. Virtu or Citadel will see this order, and they will only fill it if it if they are going to profit. Ask yourself this: if Virtu takes the other side of your options or stock order, and Virtu has only lost money one day in the past five years, who is doing all of the losing? For the fourth quarter of 2017, Robinhood had to disclose their payment for order flow as per SEC rule 606, which averaged about $0.0016 per share. If just 100,000 clients average 1,000 shares per day, (actual Robinhood numbers are likely much higher than this) Robinhood is set to profit $160,000 every single day just from selling their client’s orders to the Virtu Financial’s of the world. To date, Robinhood has raised approximately $526 million dollars to support their business, all of which is entirely necessary, because free stock trading is not sustainable in the long-run. Regardless, Robinhood’s services aren’t actually free of charge. If you want to buy any stocks on margin or avoid the pesky Regulation-T settlement period, where you cannot trade on unsettled funds, you will have to shell out a monthly fee for Robinhood Gold. Hedge funds don’t use Robinhood. Professional traders don’t use Robinhood. Needless to say, Robinhood’s core clientele is mostly newer, less experienced investors who are wooed by the illusion of trading for free and are being taken advantage of by HFT firms and Robinhood’s Gold pricing scheme, should they opt in. We should note that it was considerably difficult to find pricing information for Robinhood Gold; the prices are not clearly listed on any of the FAQ pages on Robinhood’s site. 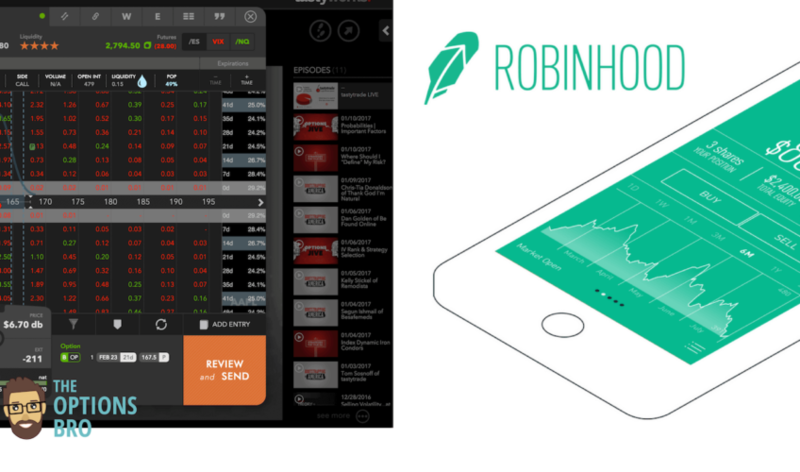 In reality, Robinhood offers little to no trading resources, poor execution, poor customer service, and a monthly membership fee for margin trading. By no means are we saying Robinhood is a scam. They definitely won’t steal you money; they’re SIPC insured up to $500,000. We’re just saying there’s a lot more than meets the eye with Robinhood, and it really behooves sophisticated investors to look into this. For casual investors with small accounts who only plan on buying and holding, and selling covered calls, Robinhood might be okay, but greater value can certainly be found elsewhere. In fact, using any of the number of free trading promotions from other brokers is demonstrably a better deal than Robinhood. 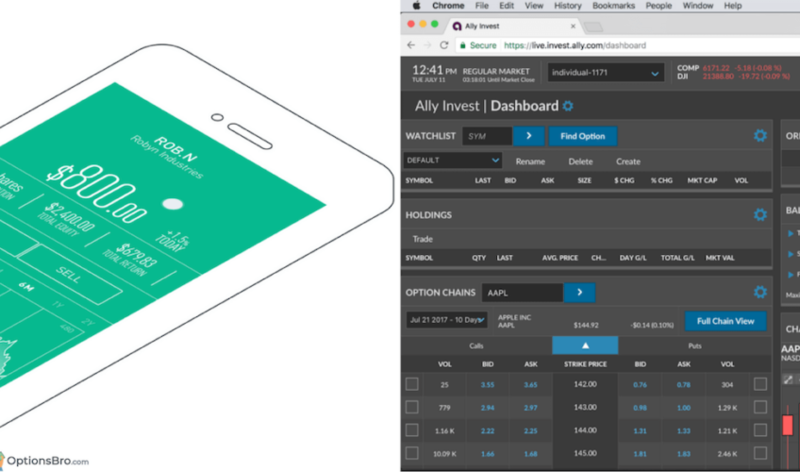 Ally Invest is currently offering up to $3,500 cash plus free trades for new accounts.